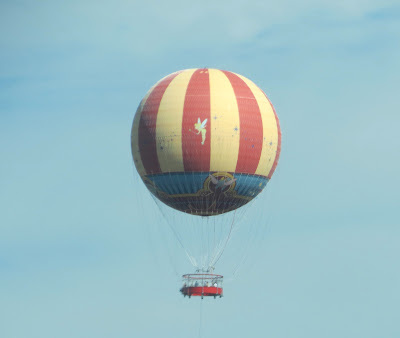 On Interstate 4 this morning I caught sight of an identifiable flying object. Tinkerbell's Hot Air Balloon near Disney World. The Angels were sending a message that out of the blue, things can change, so keep on looking up. The sky is the limit.